Beautiful Voices is our ongoing blog series that highlights inspiring, empowering women. Our most recent Beautiful Voice is Jessica Ainscough. See what she says when Annmarie asks her some questions about her own personal beauty. 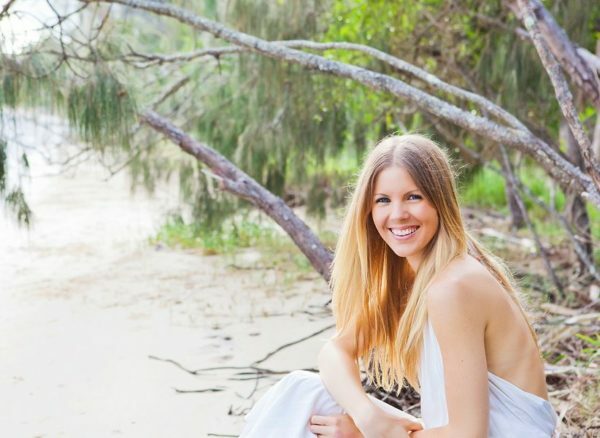 Jessica Ainscough is a writer, speaker, health coach and cancer kickin’ Wellness Warrior. When she was 22, she was diagnosed with incurable cancer, and was told her only chance of prolonging life would be to amputate her left arm. In the midst of all the angst and pain, Jess heard something within her telling her that there was a better way. After researching anything and everything to do with healing cancer, she discovered that our bodies have the amazing ability to self heal—as long as we provide the right environment to do so. As the creator of the popular website, “The Wellness Warrior,” Jess writes daily articles on courage, kindness, self-respect, as well as practical how-to’s for shopping, cooking, juicing and nourishing your body. She is also the creator of the revolutionary guide to mind-body reinvention, The Wellness Warrior Lifestyle Transformation Guide. This year, Jess will have her first book published with Hay House called “Make Peace With Your Plate: How To End Your Tortured Relationship With Food.” Visit The Wellness Warrior at www.thewellnesswarrior.com.au. I feel like I'm more myself today than I've ever been. The defining moment was when I was diagnosed with terminal cancer at 22 years old and I chose to heal naturally. I gave up all of my external identities—my magazine job and my party girl persona—and was forced to get to know myself without any external validation. Today I'm brave, kind to myself, comfortable in my own skin, and determined to make the most of my chance to make things right with my body. Exactly what I'm doing right now! I get to work in the comfort of my own home, in comfy daggy clothes, in a job that allows me to prioritize self-care above everything else. Plus, I have the opportunity to make more money than I ever dreamed of, and make a huge difference helping others. Don't do things (like juicing, meditating, eating clean food) because you feel like you “have” to do them or you “should” do them or because you're afraid of dying. Do these things because you love yourself so much that you want to live. At the beach. This is my healing source! I feel most beautiful just after exercising. After I've worked up a big sweat, have come home to have a shower, and I'm just basking in that awesome feeling you get from a work out. When I have no make-up on my face, I'm wearing comfy clothing, and everything feels peaceful.